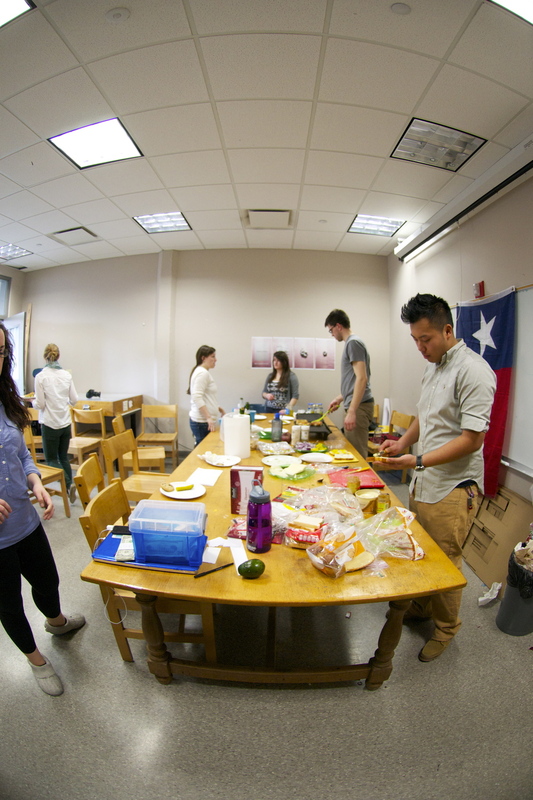 Every Friday of the semester, the Wentworth MArch students transform the Student Resource Room of the Architecture Department into the mecca for Grilled Cheese lovers—El Cheesemico. Now in its second semester, El Cheesemico flaunts a semester’s worth of delivering cheesy joy and eradicating the Friday afternoon blues from the Wentworth Architecture department. We are older and all the wiser when it comes to bringing the cheese to those who need it the most. A sleep and cheese-starved architect is nothing to be taken lightly. Our commitment to crafting custom, fresh-to-order grilled cheese with the utmost care and attention reflects on our training as designers here at Wentworth. From the composition of each jalapeno-encrusted slice of golden, buttery bread, to the Texas flag proudly adorning each of our sandwiches, the finest level of detail is paramount in our process to bringing our customers the best grilled cheese north of the Rio Grande. It was our loyal and enthusiastic patrons last semester that in part made it possible for the Texas Special Topics Studio to test ideas and to create what we hoped could become a fully-scaled manifestation of our collective experiences in Big Bend National Park and Marfa, Texas. One of these experiences, a late-night round of grilled cheese enjoyed under the starry Texas sky, led to a means of raising the money necessary to further the progress of our installation project located in the Atlantic Wharf. Out of the wake of last semester, the tradition of El Cheesemico carries on, but this time, it has helped us to realize our goals and contribute to the funding of the MArch Gala and Exhibition. This continuing tradition allows us to make collaboratively for the people, a goal that has and always will remain with us, whether the media used to create this is wood and steel or cheese, bread, and toppings.